8 gray rock styled pieces each measure: 9.75" x 4" x .25"
7 glowing pieces each measure: 3.125" x 4" x .25"
23 nails each measure: 2.5" x .25" x .25"
Illuminate your flower beds or mark your walkways with the Glow in the Dark Path Markers by Trademark Home Collection™. 15 pieces of plastic path markers allow you to configure your path markers where you want them. 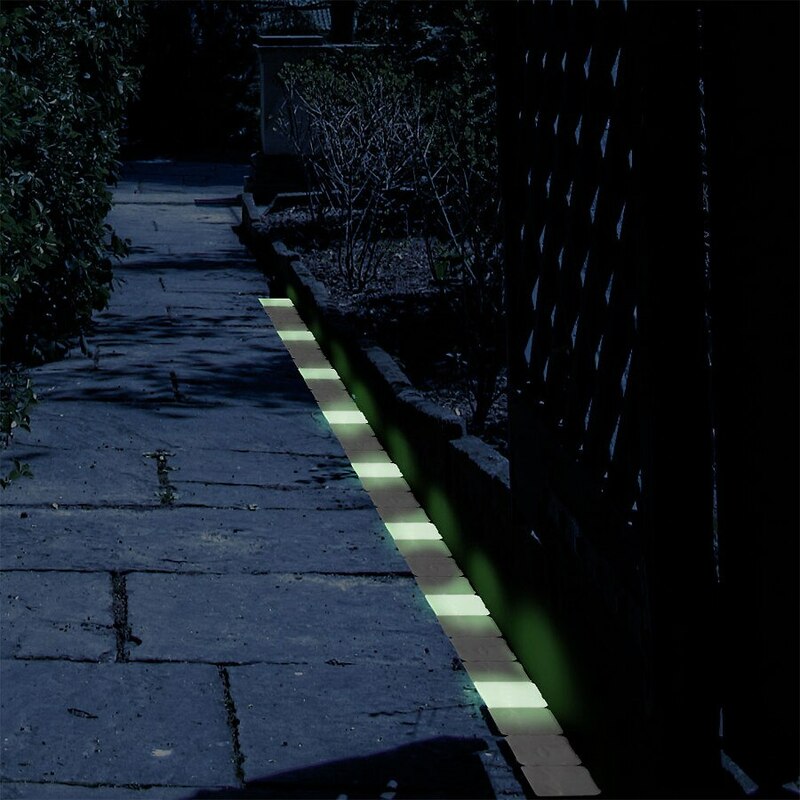 Eight brown rock like markers are accentuated by 7 glowing markers, each marker attaches to a 2.5 inch nail to hold securely where you place it.